I spent 28 days on the ice this past season. Some were partial days but the majority were weekends, snowdays from work, and guiding gigs. The large majority of the outings were spent chasing a record, a record will always inspire a fisherman to carry on. It was a season of highs and lows, multiple ice shack moves, and an attempt to stay one step ahead of the fish in a warm winter on the ice. There were several folks who joined me this season who landed their first Pike, and there were personal bests set on more than one occaison in 2012. High fives, fist bumps, breakfast sandwiches, and whiskey were all shared during a season that had it all. For the first time in a decade we recorded over 300lbs of Northern Pike brought to the ice, with fish ranging from 3 lbs to 23.5 lbs. 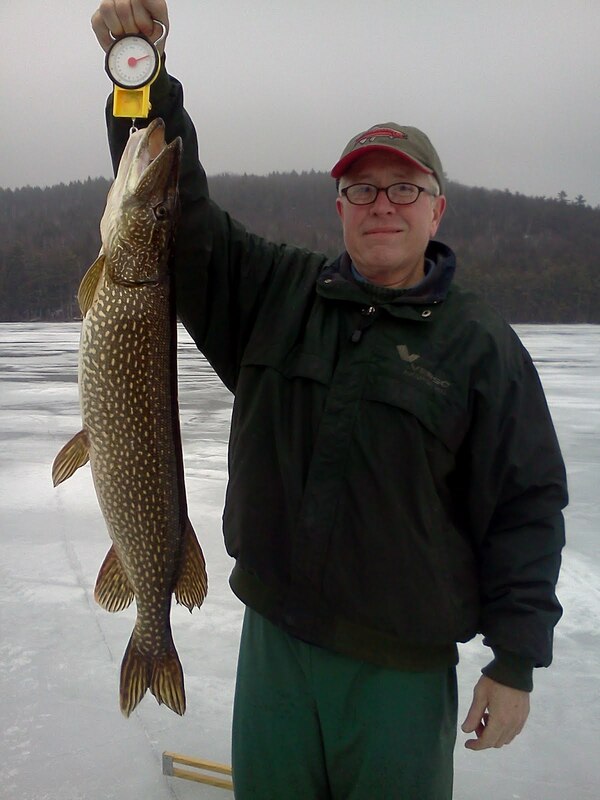 All were released; the following is a highlight reel recapping the 2012 ice fishing season. that's a highlight reel for sure. are those sweat pants my old man's wearing? Nice season Wilks. I've always wanted to mount a big ol pike eating a duck. You are definitely the man to talk to. What do you think? A 25 pound northern approaching a drake woody on a fake log as the center piece in your house. Think about it. Another impressive pile of slobs. Good work up north!